Scooter lifts built with you in mind. 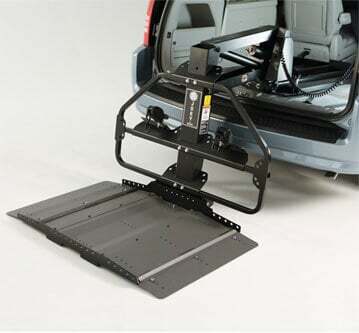 Dealers offer many styles of scooter lifts for vans. Scooter lifts fall into two main categories: swing-arm and platform-arm style. The swing arm style scooter lift raises and lowers your unoccupied scooter. Drawing power directly from your vehicle battery, it lifts your scooter to the vehicle’s floor height, where a mechanical arm moves it into the vehicle. The whole process works in reverse to unload the scooter. The platform style scooter lift lets you drive your scooter right onto the platform while it's resting on the ground. Push a button and an arm secures your scooter or wheelchair and raises the entire platform off the ground. 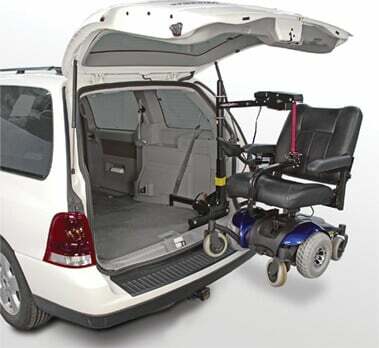 Platform style lifts can be stowed inside or under the vehicle for transportation. 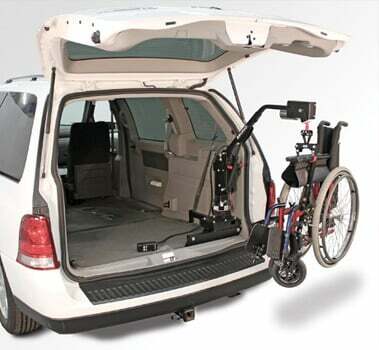 This fold-down lifter for sedans, minivans and SUVs raises and stores your wheelchair or scooter inside your vehicle with single button control. This economical lift is a handy way to stow small scooters in your trunk for transport. Designed for smaller vehicles, it features a variety of options for easy operation. Our lightest-weight exterior lift conveniently raises three-wheel travel scooters. Its low-profile design also keeps the scooter out of your line of vision in the rear-view mirror. Drive a pickup? Then the Out-Rider is ideal for you. 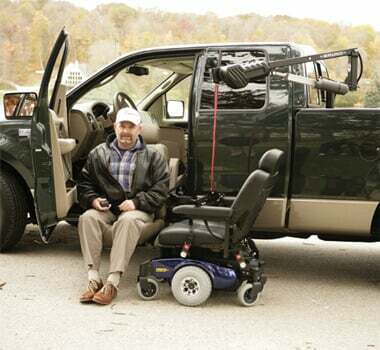 This rugged lift quickly raises your wheelchair or scooter from the front door of your truck and stores it right in the bed. 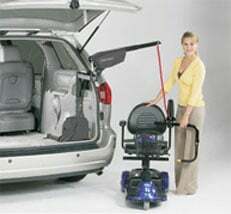 The hitch-mounted Back-Saver easily lifts and secures your folding wheelchair. As with other Bruno vehicle lifts, it works with just the touch of a button. 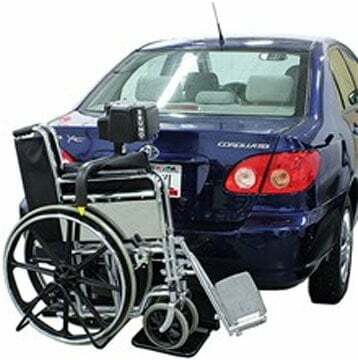 This lift on wheels raises and stores your mobility device at the rear of your vehicle. Swivel wheels follow your vehicle movements precisely, even when in reverse. 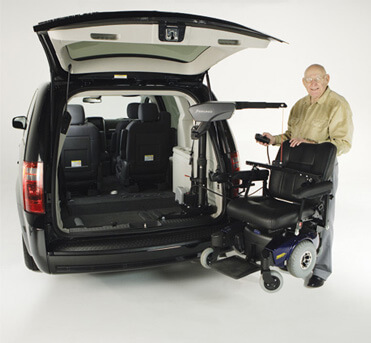 The Joey offers platform access from both sides for easy lifting and storage of your wheelchair or scooter. Fully powered for effortless operation. 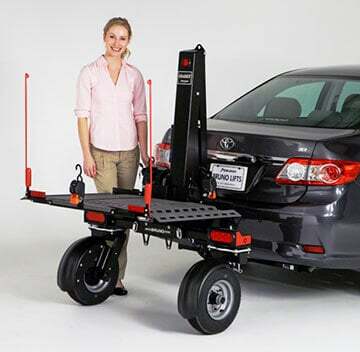 This versatile platform lift raises and stores your scooter or power chair outside your vehicle. Features simple, touch-button control. 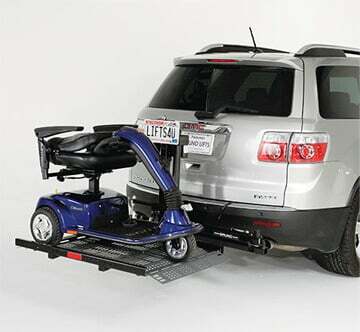 The world’s most popular scooter lift, the Curb-Sider® by Bruno conveniently raises and stows your wheelchair or scooter inside your vehicle with just the touch of a button. 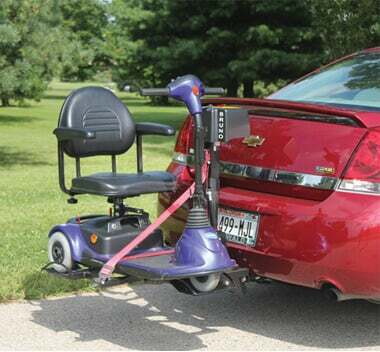 The Big Lifter handles heavier power chairs and scooters with ease, lifting and storing them inside your vehicle with the touch of a button.